These are some of the brands and companies that look to us for new perspectives, fresh thinking, and business-building ideas. We couldn’t be more honored to have them as clients. Based in San Diego, Pearson Fuels opened in 2003 as the nation’s first alternative fuel station and specializes in bringing alternative fuels to California. 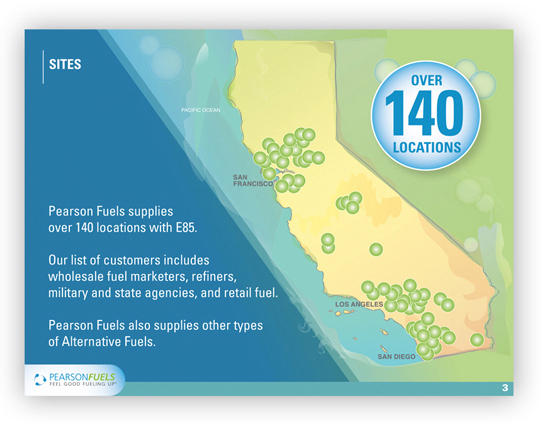 Today, Pearson Fuels counts retail stations, regional fuel marketers, refiners, and retail fuel chains among its list of over 140 locations on the West Coast. 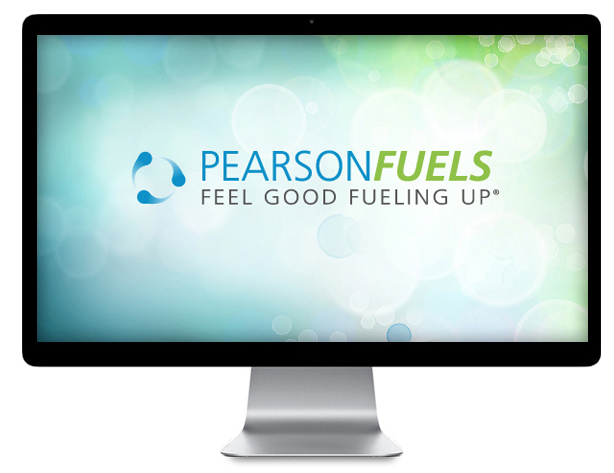 MCG was tapped by Pearson Fuels to create a unique, bilingual Cashier Certification Program to help cashiers better understand Pearson Fuels’ many alternative fuel offerings. 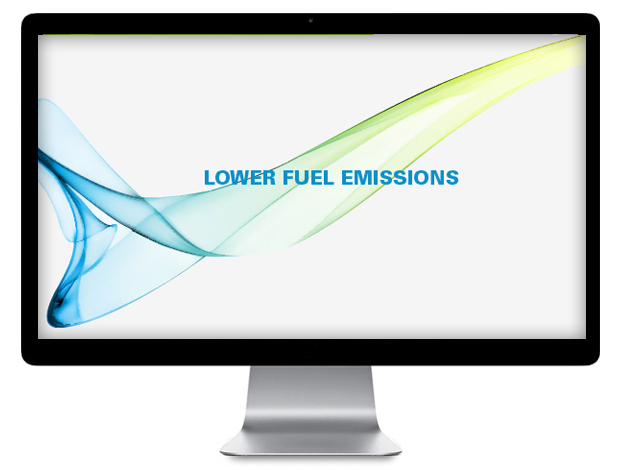 Offered in both English and Spanish, the program components include video, online presentations, and animated video to explain the many differences in alternative fuels. 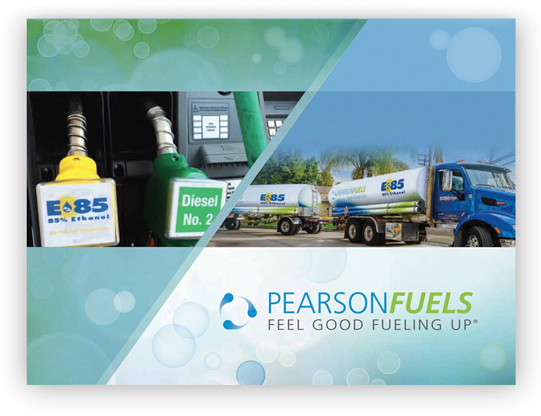 Both cashiers and customers can “Feel Good Fueling Up” with Pearson Fuels. The vision of Geneva Foundation for the Arts is to beautify the Geneva area by funding public art projects, to connect artists and businesses who need art by providing grants, and to create a future Community Arts Center. We’ve been happy to work with the GFA on their new logo identity, video marketing, website, and social media. Jetstream of Houston, a Federal Signal company, is a leading supplier of innovative Waterblasting solutions for a wide range of applications including industrial cleaning, surface preparation, hydro-demolition, and abrasive waterjet cutting. MCG was tasked with the redesign of the Jetstream site, which includes an innovation jetting calculator and over 3,000 products in its unique eCommerce online store. The mission of Northern Illinois Food Bank is simple: to lead the northern Illinois community in solving hunger by providing nutritious meals to those in need through innovative programs and partnerships. Northern Illinois Food Bank is the source of nutritious food, innovative feeding programs, and hope for more than 71,000 people each week in the 13-county area they serve. Northern Illinois Food Bank is a member of Feeding America. Northern Illinois Food Bank tapped MCG for a marketing campaign targeted toward farmers and rural communities in northern Illinois to donate to their local food pantries. The campaign included print and digital advertising, a poster campaign, and a 30-second radio spot voiced by Max Armstrong, one of the most widely recognized voices of American agriculture. Air-O-Swiss is the world's leading manufacturer of premium air treatment solutions under the BONECO brand, with an exclusive range of appliances designed and developed in Switzerland. The air treatment systems from BONECO healthy air stand for excellent quality, innovative solutions, expertise, and an immeasurable wealth of experience going back over more than 50 years. Air-O-Swiss called on MCG to create a marketing sales campaign for their air treatment systems in partnership with ACE Hardware. The campaign included tradeshow materials, point-of-purchase, and an animated video showcasing the benefits of improved air quality. From the rapid technological advances in the business of farming, to the policy that helps shape the industry, growers get unparalleled perspective from Orion Samuelson and Max Armstrong. Widely regarded as the top agricultural broadcasters in the country for over 40 years, Orion and Max share their trusted news and commentary on their television program “This Week in AgriBusiness” and on WGN Radio Chicago. 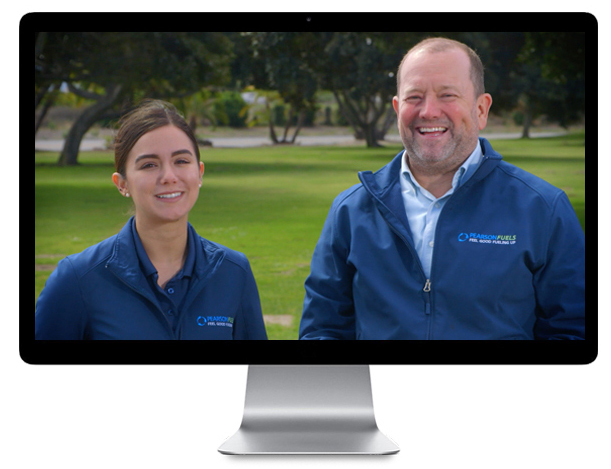 We have been honored to work with “This Week in AgriBusiness” on rebranding their television program and all associated print advertising, motion graphics, and promotional items. MCG also built and designed the Max Armstrong Tractor App, a mobile app for vintage tractor enthusiasts, as well as the promotion surrounding the app. The cover of Max Armstrong’s book, “Stories from the Heartland,” was also designed by the team at MCG. ROCKFON® is a leading provider of acoustic stone wool and metal ceiling solutions and suspension systems. ROCKFON uses world-class technology to produce residential products, as well as a wide array of industrial, commercial and marine stone wool insulation products. ROCKFON is a subsidiary of Denmark-based ROCKWOOL International A/S, the world's largest producer of stone wool products. We were delighted to work with ROCKFON on a comprehensive sales tool optimized for iPad. This budgeting application allows their extensive sales team to more quickly develop project estimates in a streamlined fashion and to better communicate with their staff, sales reps, and customers. The Innovation Center is a team of precision ag specialists that helps growers with equipment maintenance, after-market upgrades, and the latest farming technologies. The Innovation Center also provides in-field support for their 7,800 customers, as needed. Based in Aberdeen, SD, the Innovation Center is a division of Agtegra Cooperative. The Innovation Center worked with MCG’s creative and digital teams to develop a new branding campaign which included a new logo, a mobile responsive website, video library, print and digital advertising, social media, radio, and other marketing materials. ASCEND provides a secure foothold and welcoming environment to uniquely support you, your goals and values. Through connection with self and others, patience, compassion, and caring, ASCEND helps clients reestablish a foundation of resilience and strength as you rediscover you. MCG has been passionate about partnering with ASCEND and sharing their commitment to health and well-being through memorable print, branding, signage, and website design. As a corn, soybean, and alfalfa seed company, Great Lakes® Hybrids strives to bring only the best products to their customers through their world-class research and breeding program. Since 1921, Great Lakes Hybrids’ expert seedsmen have been Generations Ahead in research, technology, and performance. Great Lakes Hybrids is a division of AgReliant Genetics, LLC, the third largest independent seed company in North America. MCG has been honored to work with Great Lakes Hybrids since 2012 on comprehensive branding campaigns including media strategy, planning, and placement, mobile apps, sales promotion, public relations, signage and displays, TV and radio advertising, print and digital advertising, and catalog design. 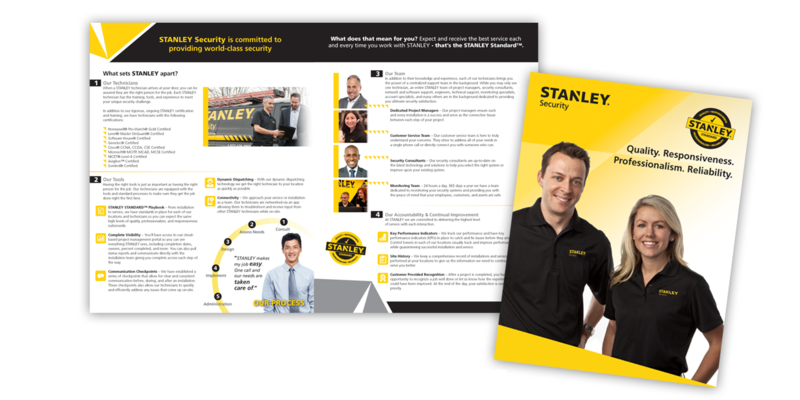 STANLEY® Convergent Security Solutions, Inc.
STANLEY® Convergent Security Solutions, Inc., provides comprehensive security systems including intrusion detection, access control, video surveillance, fire detection, and 24/7 monitoring. With offices across North America, STANLEY is the only true national security system integrator serving the U.S. and Canada, with global security and centralized monitoring capabilities. STANLEY tapped MCG to work on a wide array of print, digital, and branding campaigns ranging from advertising, tradeshow, and promotional products to brochures, whitepapers, and infographics. 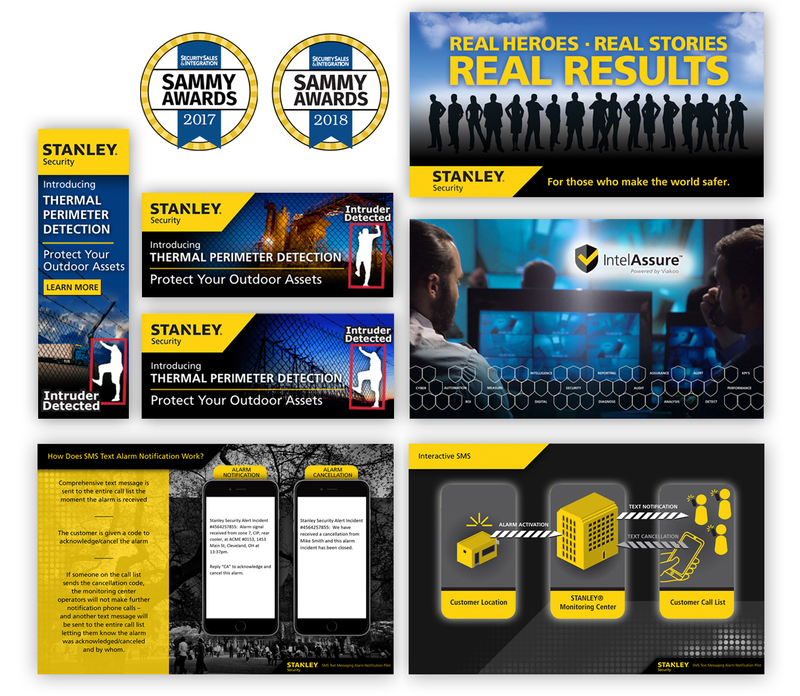 MCG has been honored to contribute to Stanley’s 2017 and 2018 SAMMY Awards for Best Overall Marketing Campaigns. - STANLEY Convergent Security Solutions, Inc.